The Boiling Point | I Sing Because I'm Free! 212° the extra degree captures the essence of excellence in an unforgettable way… At 211° water is hot. At 212°, it boils. 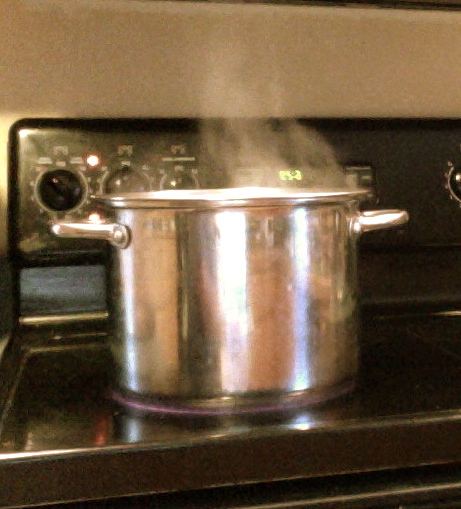 And with boiling water, comes steam. And steam can power a locomotive. The one extra degree makes the difference. And in that moment, I forgot about everything else except that phrase… Excellence…. one extra degree makes all the difference. I want to be at the “Boiling Point” with God- showing obedience in every little thing- bubbling over with His joy and doing all He asks of me! One extra degree… one extra step of obedience… I wrote a song about a year ago about giving God my all… having no regrets and not looking back. This song came to mind when I saw that poster in the school office that day. It is called “All or Nothing”. I don’t want to just be steam… I want to boil over with the joy of the Lord! for something to fight for. Whatever You ask for, I’m gonna do for You. I love your blog and hearing you sing. It makes me feel closer to home. I feel special, too, that I received the call, about “no cavities!” I miss the girls and our special times together, more than you can imagine!! We miss you, too! I think hearing “no cavities” was music to my ears that day!!!! You are quickly becoming a talented writer, giving God the glory and seeking his face will bring you into a fulfilling relationship with Him, and bless those around you. I’m excited to see where God will take you as you walk this contradicting road with its joys and sorrows, laughter and tears. Talented in so many ways. Loving it! Thanks for the compliment and for visiting here! It means a lot to me! One more degree…thanks for posting this.Sometimes I get so tired, weary, and I don’t really feel like going the extra step to give a smile or a call because “I am too tired” or whatever. But this really reminded me that it is not about me but about Christ and Him allowing me to reach Boiling Point!